Looking for the right material to help you increase your level of French knowledge can be quite frustrating (believe me, I know!). I’ve spoken with enough French learners to perfectly understand the struggle. I’ve been working double time, even triple time,to be able to provide you with the appropriate learning tools every step of the way. And…voilà! 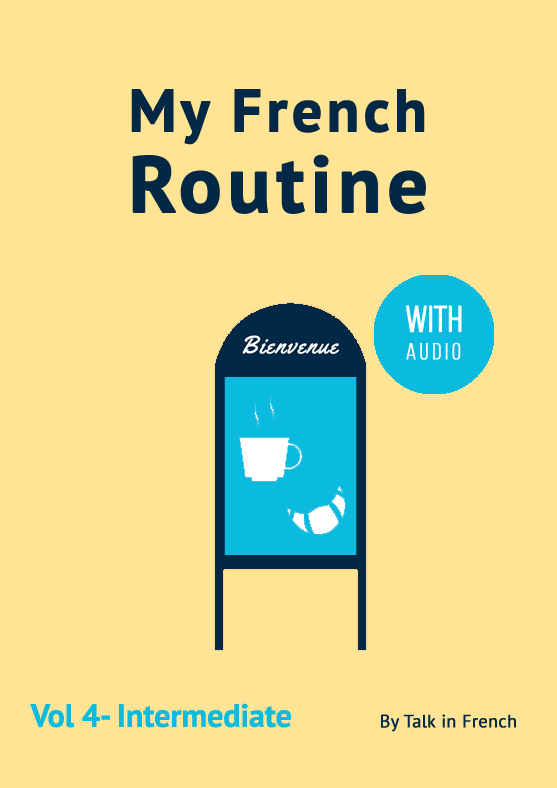 The latest book in the “My French Routine”series is finally here! Whether you have already bought a copy of the 1st, 2nd, and 3rd volumes, or you have studied beginner to intermediate French before and just need to continue what you have started, this is the e-book for you. Say bonjour to a fun and effective way to learn French! Grammar is hardly a fun topic for anyone learning French. Like it or not,though, it is one of those bitter pills you have to swallow. Without learning grammar, you will not be able to build enough of a foundation to master French. Thankfully, this book is not like any of those boring text books you have probably come across before. My French Routine introduces the lessons together with fun learning aids that carefully illustrate the grammar points. The result is a totally not-boring one month supply of short yet challenging daily French lessons. So…what else does it have to offer? 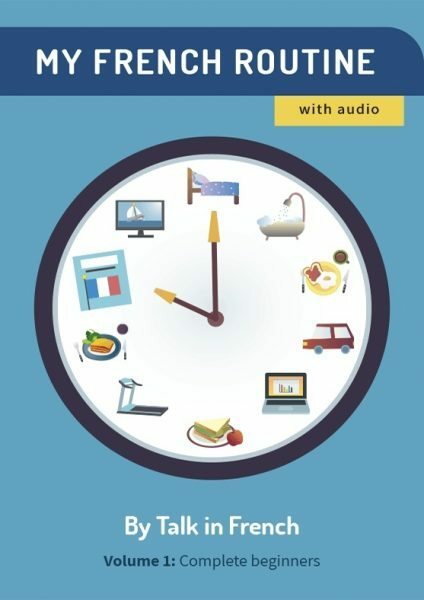 It serves as a guide to help you create a French learning habit. The lessons are delivered to youdaily in short, easily-digestible bites. You will get one lesson per day, five days a week for four weeks with weekly lesson recaps during weekends. If consistently followed, you will soon notice that learning French can easily become a painless activity. It trains your ear to listen to spoken French. The lessons are presented with French conversations recorded by native speakers. Listening is a keys kill every learner must master before becoming fluent in French. Paired with the appropriate grammar lessons, the audio is a powerful tool for boosting your comprehension. It makes use of an intuitive learning method. With a good combination of grammar lessons, exercises, and other learning aids, the learning method employed in this book will help you achieve your goals of learning French in no time. So if you want to continue learning French until you achieve fluency (which you really should), check this book out. I promise, you will find it truly helpful. If you need more details about this volume, please click the photo below. Merci! Today until the 21st March 2016 , you can get a copy of this e-book for $10 less than the usual price. There will never be a similar offer in the future (this discount is only for launch week), so get your copy while it’s hot!